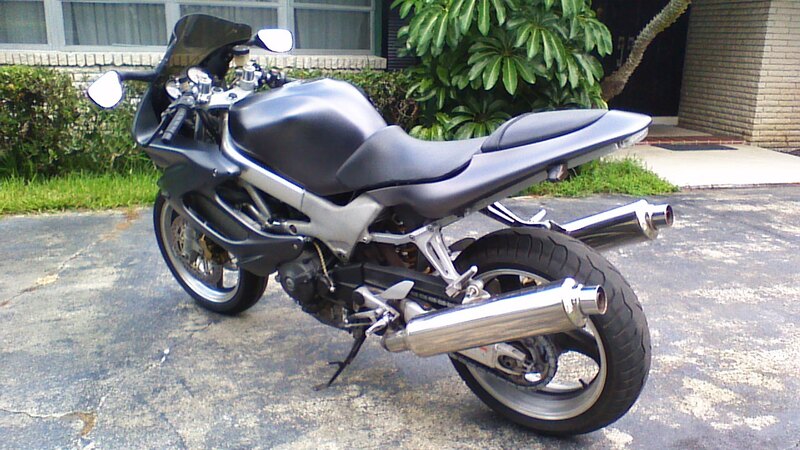 After days of negotiating and waiting, I've finally adopted this 2K VTR1000 Superhawk. From the looks of it the previous owner has done some extensive visual mods that I plan to build from or use as a base. I kinda like the different look, hence, the reason why I actually made the deal. I'm not one to follow the norm. I'm considering other performance mods so you can bet that I'll be leaning (No Pun Intended) on this great forum for guidance. Here some pics for your enjoyment...! Cool Hawk. Some clean lookin' body mods. Last edited by NHSH; 09-06-2015 at 08:00 PM. Welcome new friend from FL. Of course you know about those factory Automatic Cam Chain Tensioners. Last edited by Hangfly; 09-07-2015 at 11:10 AM. Thanks everyone for the warm greetings. Hope to run with you all someday if you're in the Central Florida area. I've read about them for the first time before getting the bike. The gentleman I traded with stated that he had spent over $1100 in repairs prior to putting it up for sale. Just don't know if the CCTs' were part of those repairs. 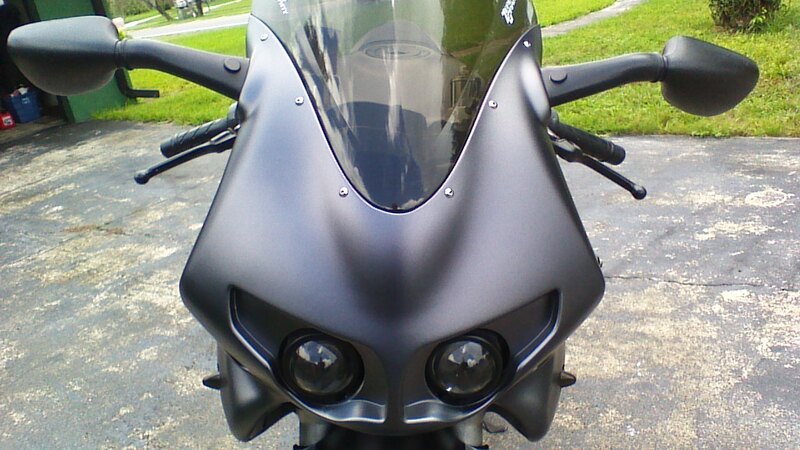 I did notice that the bike already has SS braided lines which was one of the upgrade recommendations on this forum. 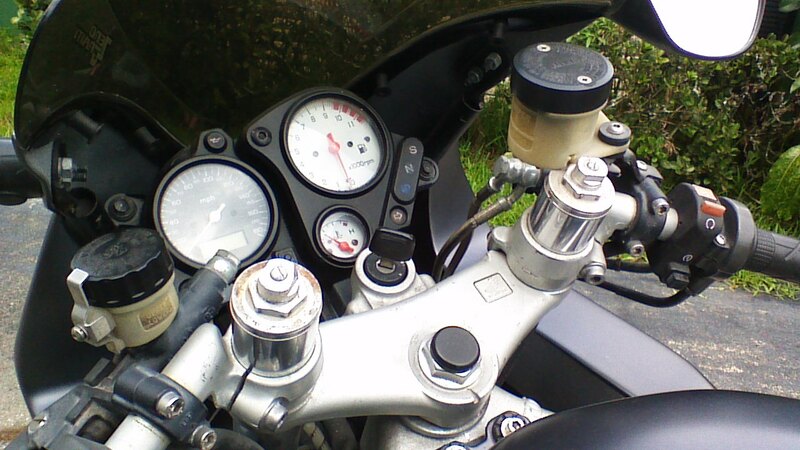 The only issue I've encountered is that when I run the bike a little hard and I stop and shut it off, when I turn the ignition and go to restart I get a click underneath the passenger seat and the bike will not start. After a few minutes it starts with no problems. Think it may be a relay of some sort...? 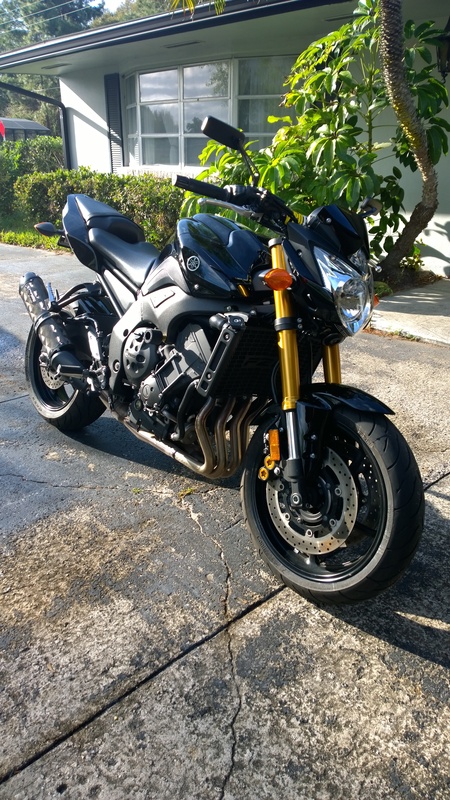 Compared to my 2011 Yamaha FZ8, it feels like a Ducati because of how narrow it is. Not sure I like the ride height in the rear, and seeing that the front was lowered, my first call to duty is figuring how to raise her up a tad. Any suggestions Hangfly...? Last edited by Ariola; 09-12-2015 at 06:58 AM. Why should you be concerned about them? In simple terms, they can cause serious damage to your engine if they "let go". And they can let go at any time with little to no warning. How does it happen? The spring inside the CCT (Cam Chain Tensioner) breaks, which then looses tension on the cam chain, allowing the cam(s) to "jump timing" and since the VTR has an interference engine, your pistons will hit the valves. "my first call to duty is figuring how to raise her up a tad. Any suggestions Hangfly...?" I'm not sure since am the wrong guy to ask about handling tricks. I just installed new forks on the front of mine and plan to pay an experienced (man who rebuilt the forks) suspension guy look at it. 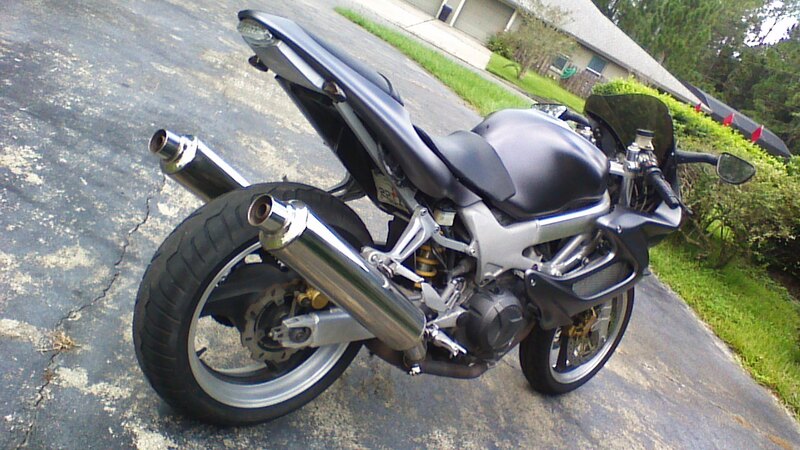 Both VTR bikes I have bought needed converting, which I did before I rode them, since these days, I don't feel that lucky, punk. Not sure I like the ride height in the rear, and seeing that the front was lowered, my first call to duty is figuring how to raise her up a tad. Any suggestions Hangfly...? To raise to stock height, loosen the pinch bolts on only one side, let's say the left, on the upper and lower triple clamps and the handlebar (clip on). Then push the fork tube down until the cap is 1-2mm above the handlebar and the handlebar is sitting down on the upper triple clamp. 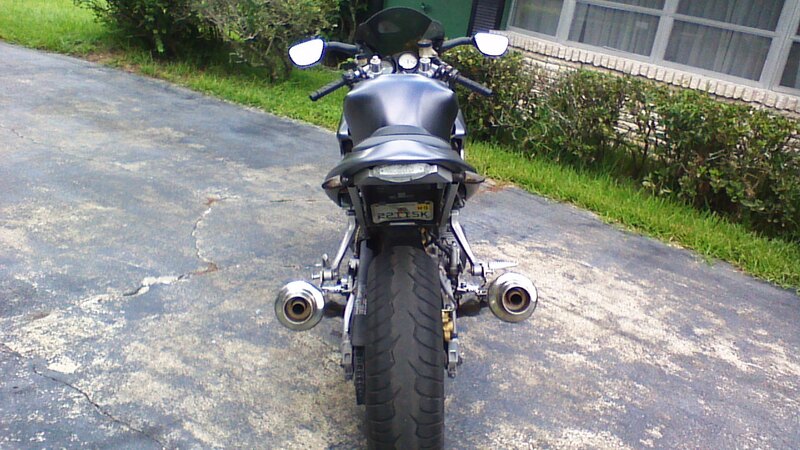 This may require getting the weight off the front end but it should be do-ble with the bike on the kick stand. Once the left is at the stock height, tighten the bolts and do the right side. Do not over tighten the bolts. I think the proper torque is around 20 pounds. Cool...thanks for the info. My other issue is the rear. It looks like its set center for preload which is compressing the spring. If I set it at the lowest setting, will it somewhat raise the rear to match the front or? On my 11' FZ8 I can usually adjust it with a rear shock thingy magingy tool (Excuse my mechanical tool jargon ignorance). The VTR's Showa fork is set up a little different. Does it work the same way? Any help would greatly be appreciated...thanks a million.
. This is the first and most basic adjustment you should do to all motos you own from here on. 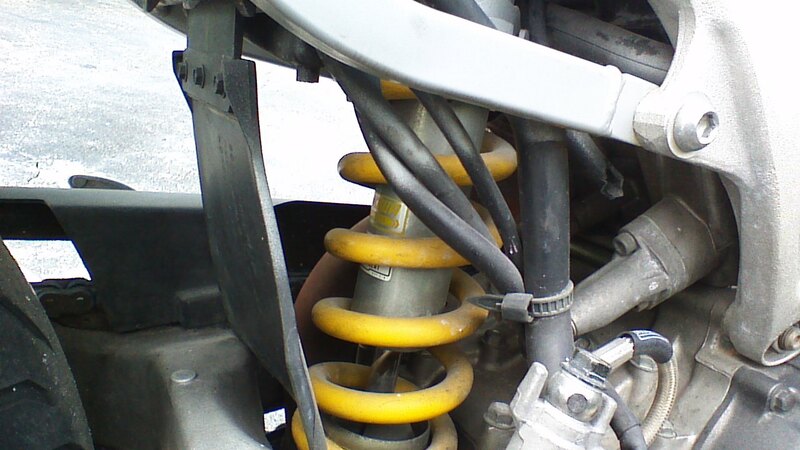 You don't adjust ride height with spring preload. You can raise the rear by putting a shim under the upper shock mount just behind the tank. That adjustment should not be used for that reason. Check out this thread. If it seems a little confusing, check out this vid. 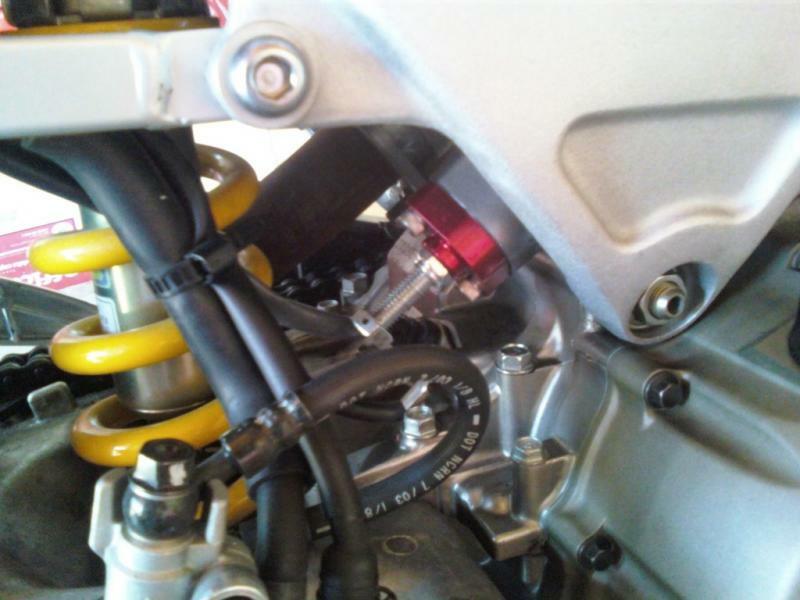 This is the first and most basic adjustment you should do to all motos you own from here on. This guy is bad ***. Couldn't help but watch videos of his tuning till the wee hours. Thanks for the hook up Wolverine. Hey, congrats on the pick up. I've seen that for sale forever. 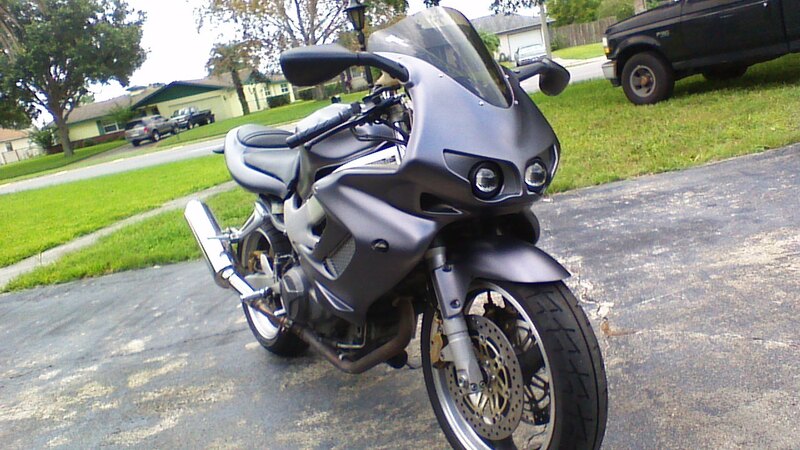 I'm over by UCF, if you're ever down for a ride or need a hand let me know. Finally got the rear shim in. Looking to have it done this weekend and then she'll be road ready... I'll keep you posted. BTW, do you have any pics of your Hawk?